Apple's iPhone 5 may come with a dual-LED flash, courtesy of a part made by a Taiwan-based LED packaging firm (as opposed to a Lumileds high-power LED flash product from Philips). Everlight Electronics, Edison Opto, and Lite-On Technology are the three potential suppliers, according to recent market rumors, but all related companies have denied they are involved in the production, according to DigiTimes. While dual-LED flash is not a huge deal (it should have been in the iPhone 4), this does further support the rumor that the iPhone 5 is getting a better camera. Rumors have previously said it will be an 8MP camera manufactured by Sony. Higher-resolution pictures and video will be better viewed on the device's rumored larger screen but thinner bezel. Apple has been giving some developers access to a device known as the iPhone 4S — an iPhone 4 with upgraded internals, but that's not the iPhone 5. In fact, the iPhone 5 will reportedly have a radical new case design. Ever since the iPhone 5 was delayed, rumors have suggested production for the device will start in either July or September, but both expect it to arrive in time for this holiday season (possibly as soon as August 2011). 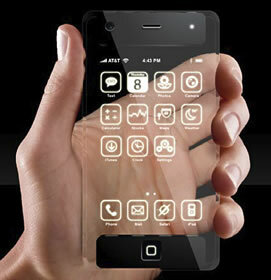 The iPhone 5 was largely expected to arrive this month, given the iPhone's history, but was delayed. The first iPhone was released on June 29, 2007. The iPhone 3G was introduced on June 9, 2008. The iPhone 3GS was announced on June 8, 2009 and arrived on June 19, 2009 in the first countries. The iPhone 4 was announced on June 7, 2010 and released on June 24, 2010.